CONVENIENT NORTH END LOCATION- Amazing, immaculate and turn key home offering you three bedrooms, 1 full NEW bath with walk in shower, open eat-in kitchen with custom built-in table/island with 4 bar stools and storage area underneath for all of your extra mixing bowls, tupperware and baking pans. New counter tops, updated cabinets, newer gas stove and new laminate flooring. Beautiful original hardwood floors in the spacious living room with brick fireplace and in two of the bedrooms. Custom Bali window blinds, professionally landscaped May 2018, two apple trees were planted in the back yard at that same time. Seller has had the home professionally painted inside and out ( where needed). New wooden privacy fence was installed in the back yard in the last year, new 200 Amp Electrical box installed 2017, seller also had electric installed in the garage and a new garage door opener installed. 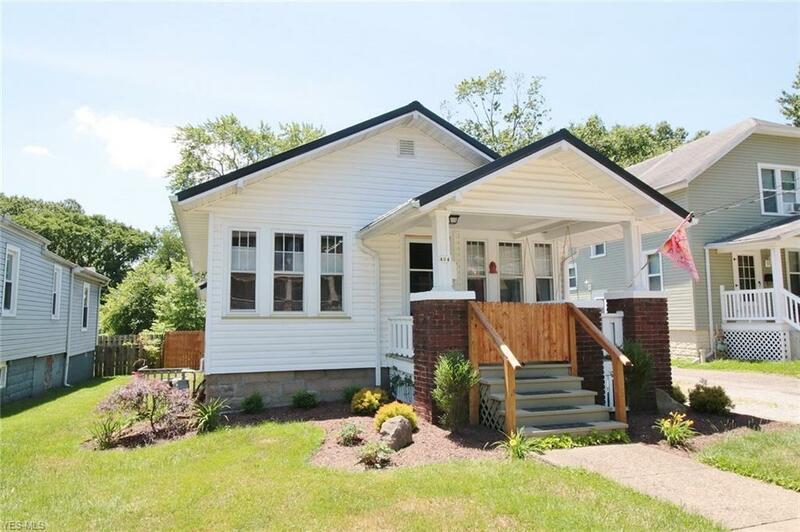 This home has had many updates since seller purchased. This home would be great for a " First Time Home Buyer " or someone looking to Downsize.